for my mom’s birthday today, i could think of no better present to get her than a big bowl of japanese tonkotsu ramen, from scratch. 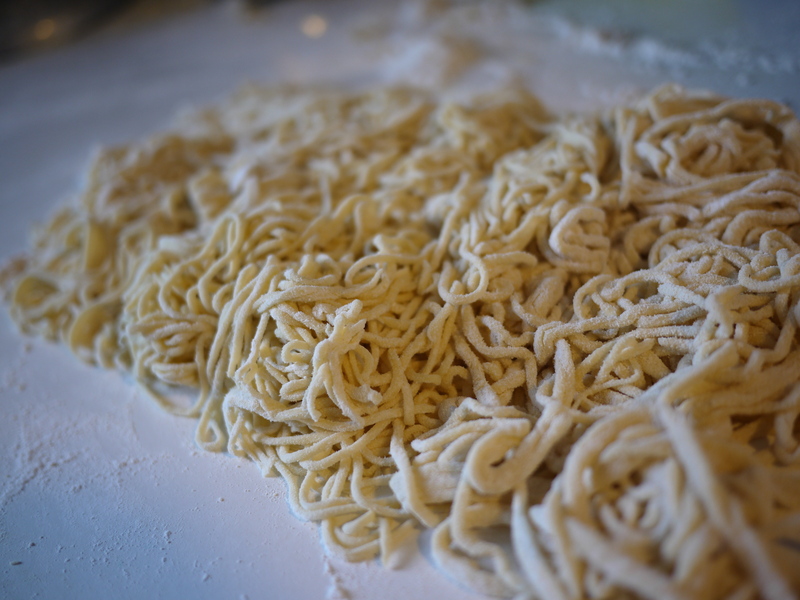 my friend, alex w. sent me this “tonkotsu ramen recipe” by marc (no recipes blog), which was so extremely helpful and easy to follow. after this, i probably now owe alex a bowl of ramen. among a list of other people as well. 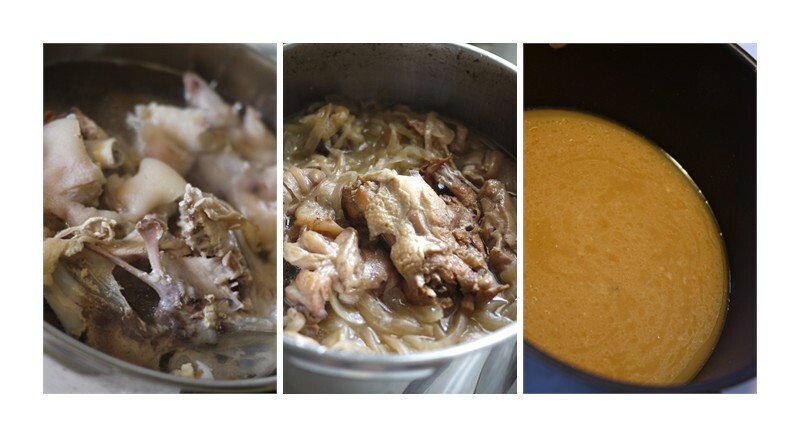 the entire process–broth, noodles, pork belly, and toppings took 5 hours total. of which, 2 hours was spent resting (non-cleaning, non-prepping). tried to do some yoga in between but failed because bruno thought my downward dog gave him free reign to treat me like a jungle gym. While the bones are going, Heat 1/2″ of oil in a pot over medium heat and add the head of garlic and ginger. Fry this until they are browned and shriveled up. Use a slotted or wire mesh to transfer the ginger and garlic to a bowl. Add the onions to the oil and fry these until caramelized and shriveled. Add the fried onions to the ginger and garlic and set aside. Heat the tonkotsu base in a sauce pan. In a bowl whisk together the sesame paste, braised pork belly liquid, salt, mirin and white pepper. Add this to the hot broth and whisk to combine. Taste and adjust salt as needed. Bring to a simmer. 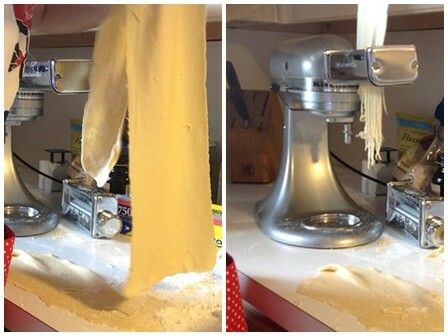 Split the cooked noodles between two bowls. Pour the tonkotsu soup over the noodles. 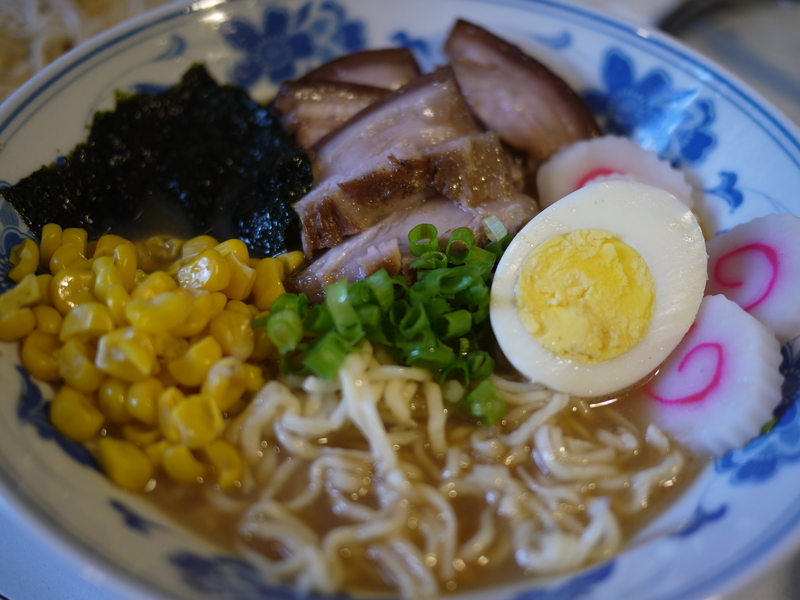 Top with pork belly, scallions, hard-boiled egg, corn, seaweed, fish cake, etc. and whatever else you want to add. can’t wait to collect payment..